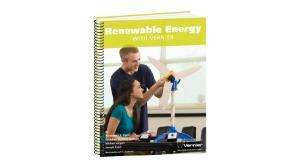 The Renewable Energy with Vernier lab book features 26 experiments in wind and solar energy. The lab book contains a combination of explorations, traditional experiments, inquiry investigations, engineering projects, and more. 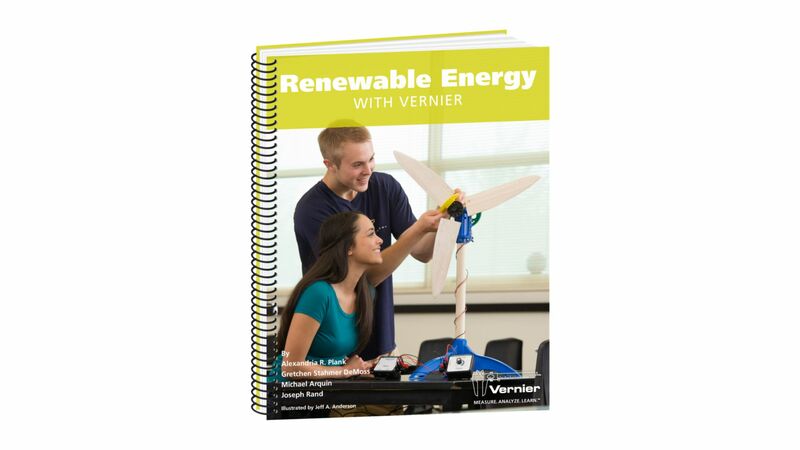 In these experiments, students learn about renewable energy, experiment with variables affecting power output from model wind turbines and solar panels, and participate in engineering projects such as building a wind farm or a solar charger to meet certain design criteria. Aligned with the Next Generation Science Standards, NGSS, all of the experiments are designed to support students in three-dimensional learning with Disciplinary Core Ideas, Science and Engineering Practices, and Crosscutting Concepts identified for each experiment within the Instructor pages.